Nearly one-third of Republican primary voters don't think Muslims should serve in the U.S. military, according to a national poll conducted by Public Policy Polling. In the poll, conducted between March 24 and 26, PPP asked 505 Republican primary voters: "Do you think that Muslims should be allowed to serve in the US Military, or not?" 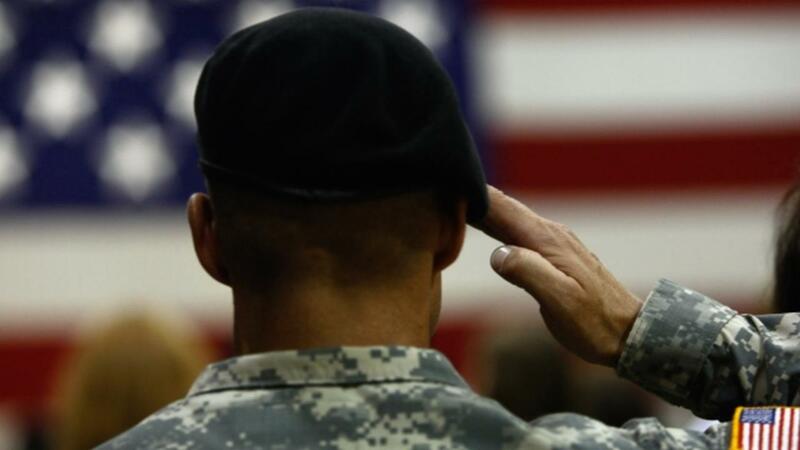 Thirty-two percent of respondents said they shouldn't be allowed to serve, while 49 percent said Muslims should be allowed to serve in the military. The remaining 19 percent said they weren't sure. Of those who thought Muslims should not be allowed to serve, most of them were women. Thirty-five percent of female Republican primary voters gave that answer compared to 30 percent of men. Younger respondents were more likely than their elders to have the same preference. Thirty-six percent of respondents between 18 and 45 years old told pollsters they don't think Muslims should be allowed to serve, versus 28 percent of respondents older than 65. Out of all the Republican candidate vying for the party's presidential nomination, front-runner Donald Trump has led the pack in comments about distrusting Muslims. In December, after the devastating San Bernardino terror attack, he called for a ban on Muslims entering the U.S. "until we can figure out what's going on." Last week, in the wake of the Brussels attacks, he said he supports Ted Cruz's idea to empower law enforcement to "patrol and secure Muslim neighborhoods." It may be no surprise, then, that people who said they support Trump in the primaries accounted for the highest percentage of poll respondents saying Muslims shouldn't be allowed to serve in the U.S. military. Thirty-nine percent of Republican primary voters backing the GOP front-runner gave that answer to PPP pollsters. GOP primary voters were also asked: "Do you think Barack Obama is a Christian or a Muslim, or are you not sure?" Overall, 52 percent answered "Muslim," while only 20 percent answered "Christian," and another 28 percent replied: "not sure." Trump supporters accounted for the highest percentage of respondents who think President Obama is a Muslim, at 62 percent. Republican primary voters backing Trump also accounted for the highest percentage of respondents who think Obama was not born in the U.S., at 52 percent. Overall, forty percent of GOP primary voters polled by PPP said they believe the U.S. president was not born in the U.S., despite his birth certificate stating he was born in Hawaii. The Raleigh-based firm also found that Trump is polling at 42 percent among Republican primary voters -- a solid 10 percent ahead of his closest competitor, Cruz. On the Democratic side, Hillary Clinton is still the favorite candidate by far, backed by 54 percent of primary voters, versus 36 percent who stand behind her rival, Bernie Sanders. Of 422 Democratic voters polled, PPP noted: "Clinton leads within every gender, race, and age group except younger voters." Clinton's voters also appear least likely to change their mind: 84 percent said they were "firmly committed" to vote for her, versus 61 percent for Sanders. The post Nearly A Third Of Republicans Don't Want Muslims In The Military appeared first on Vocativ.